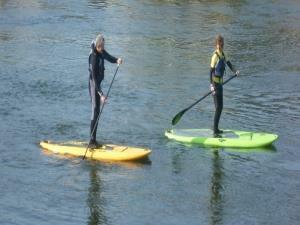 Stand Up Paddle Boarding or SUP is a relatively new craze to hit our UK shores. You can float & paddle your way around the coastline in similar ways to sea kayaking or you can come along for a dedicated tuition session on the Teifi just outside our CBA office in Cardigan Town. You can even teach Yoga on a Board! !